We are always posting new jobs, be sure to check back often or follow us on LinkedIn, we would love to help you take the next step in your career. AMTRA is seeking an Application Packager to help support our team with installation of Windows 10 applications to our clients. AMTRA is seeking a technical thought leader to work with our architectural team and be responsible for the delivery of the MDM Service across multiple customers. Our client has an initial 3 month contract / contract to hire opportunity for a Senior SCCM Administrator. Our client has a 6 month contract for a Cisco Wireless Network resource to help them with a WiFi remediation project. Our client has a six month initial contract for a SCSM (Microsoft System Centre Service Management) Consultant. Our client has a 3 – 6 month initial contract for a Senior Azure/Office 365 resource for both operational and project based work. 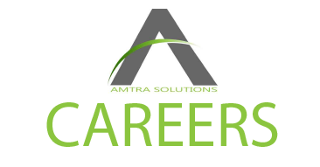 AMTRA is seeking an IT Staffing Account Manager to join our growing team. An exciting new opportunity to join a growing team as Solution Sales Specialist, a dynamic, energetic and self-motivated person who can thrive within the AMTRA sales team. AMTRA is seeking an IT Recruiter to join our growing dynamic team. AMTRA is seeking a Microsoft Solution Architect to apply technical, project management, and leadership expertise to plan, execute, complete, and lead high-profile IT initiatives. AMTRA is seeking Windows 10 Architects to design, and deliver solution frameworks in the Windows 10 space. Didn't find a job that matches your experience? We keep an active catalog of the top IT Talent in Canada and search it daily to match the right candidates to the right opportunities!